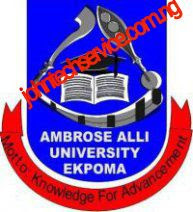 Ambrose Alli University, Ekpoma 2017/2018 admission screening exercise 2nd Batch UTME/DE Admission List is out. All candidates who took part in this screening excercise should kindly check their admission status below. 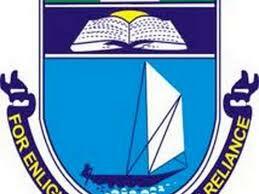 AAU Ekpoma 2016/2017 2nd Semester 100 and 200 Level CBT Examination timetable. Venue to be communicated to students one week before the commencement of exams through their AAU kofa account. NO SCHOOL FEES (1ST AND 2ND INSTALLMENT) NO EXAMINATION. Login detail is based on payment of 1st and 2nd semester school fees. The Ambrose Alli University, Ekpoma Admission Screening Exercise for all Direct Entry applicants for the 2017 /2018 session has been postponed. AAU Direct Entry candidates who applied for the screening exercise earlier scheduled for 18th and 19th September 2017 has been postponed. AAU Registration Process is still in process. Please inform others. AAU Induction Ceremony of the 11th Set of the Graduating Medical Doctors 2017. 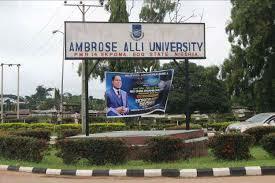 The Ambrose Alli University, Ekpoma Induction Ceremony of the 11th Set of the Graduating Medical Doctors is here. Date:- Tuesday, 15th August, 2017. Venue: - Pastor Chris Oyakhilome Hall. Note: students and invitees are expected to be seated at 10.30 a.m.
All students of Ambrose Alli University, AAU should note that the revised academic calendar for the second semester, 2016/2017 academic session is out. Monday, 6th November 2017 – First semester Lectures /Normal course registration for fresh students begins. AAU students please take note and also inform others. 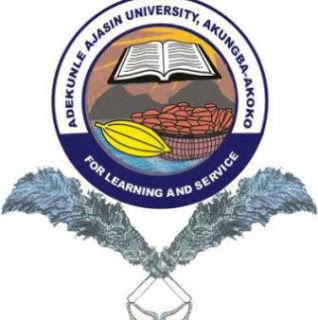 Students of Adekunle Ajasin University (AAU) are hereby invited to the demonstration of e-voting which will take place today being Monday 24th April 2017. The Management of AAU is saying that you should please make your self available for so many important issues like invidious act observed in last election and others shall be treated. 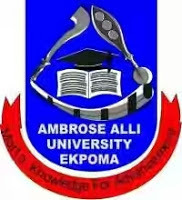 Ambrose Alli University, Ekpoma CBT Examination Time-Table for the 2016/17 Semester exam has been released. Step 3: Click on "Download examination schedule slip". (Print two copies and bring them to the allocated CBT examination center as shown on the slip).